Ideal for cart traffic and pivoting, ErgoDeck Smooth™ is a high performance anti-fatigue surface that makes rolling, stopping and starting movements easier than ever. Unlike soft mats that deform under load, ErgoDeck Smooth features a firm, lightly textured surface delivers a smooth surface for rolling but without compromising traction. 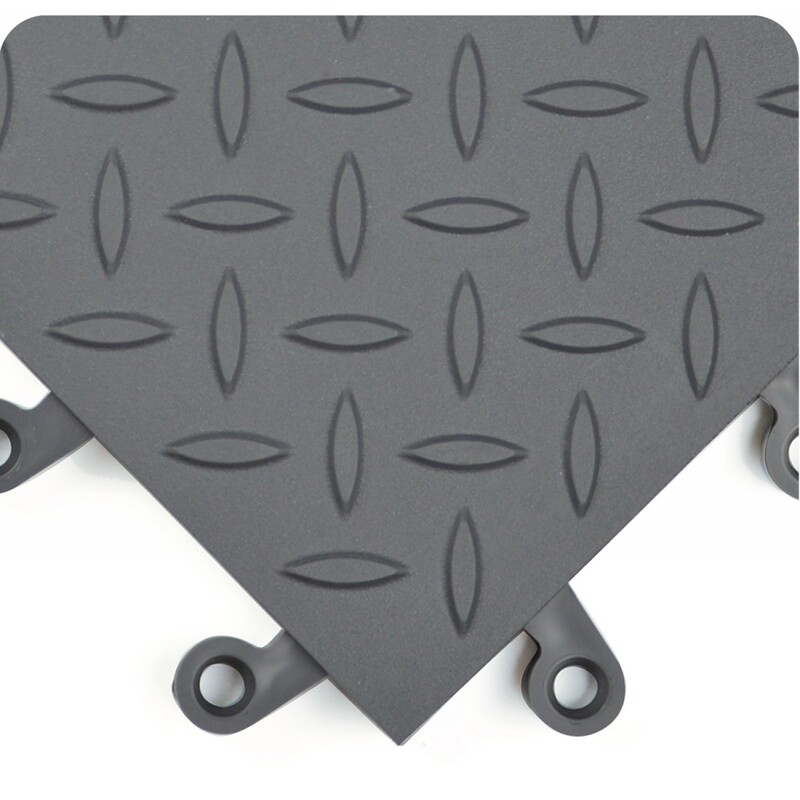 Optional 6″ (15 cm) wide ramps are cart friendly, allowing easy on-off access. The open version of ErgoDeck No-Slip Kit features a high traction, open-top surface design that promotes drainage and quick flow-through of liquid and small debris. Especially for use in wet areas, areas with overspray, or hazardous locations that get extremely slick and dirty. Ergonomic design effectively combats standing fatigue, while the No-Slip Cleats help prevent unwanted slips and falls. These ultra-rugged Kits are perfect for individual workstations that reside in some of the toughest industrial environments. 6″ wide borders on 3 sides prevents trips. Available in sizes: 42″x48″ (107 cm x 122 cm), 42″x66″ (107 cm x 168 cm), 42″x84″ (107 cm x 213 cm). A high traction, ergonomic floor that will withstand heavy use. The patented LockSafe Positive Interlocking System delivers secure connections. Perfect for lean manufacturing, tiles can be unlocked and re-positioned as work centers change to fit customer needs. 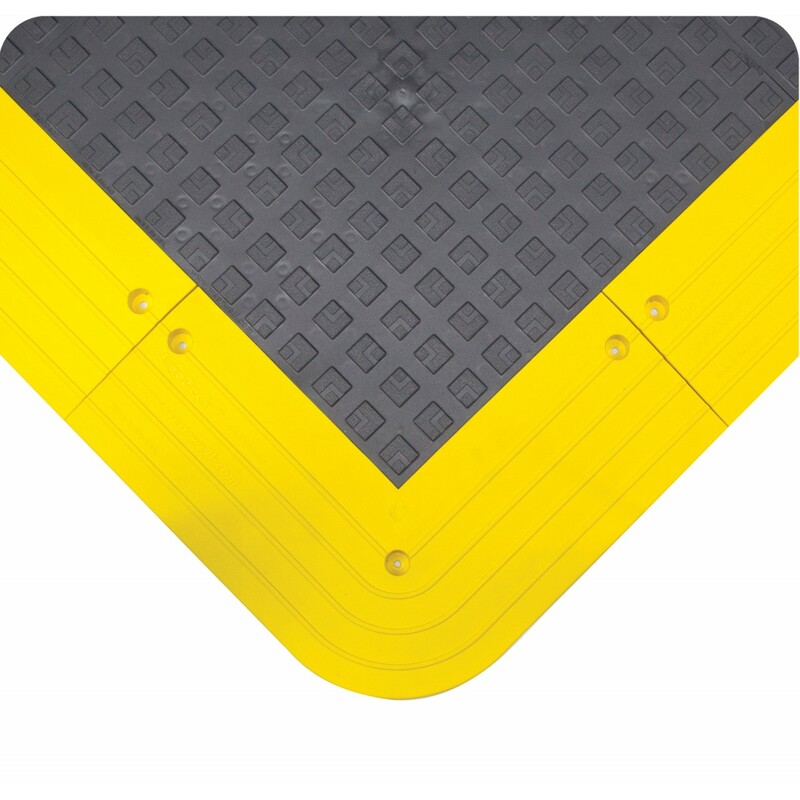 The optional 6″ (15 cm) wide safety ramps and corners have countersunk holes for semi-permanent installation. 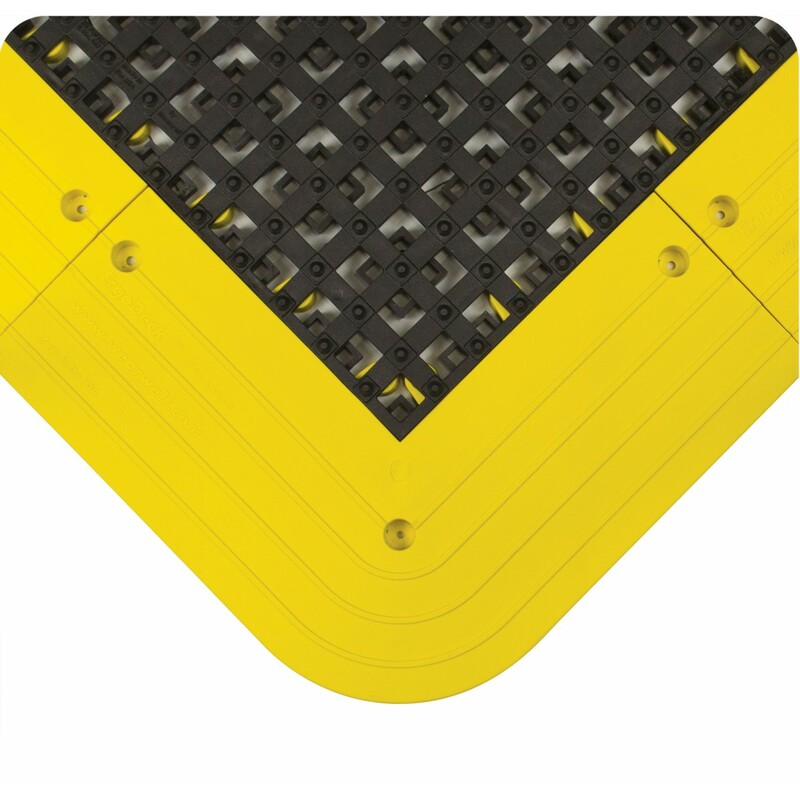 ErgoDeck General Purpose with GRITSHIELD increases traction by 40% and addresses worker health and safety in areas with primarily foot traffic and light cart traffic. A high traction, ergonomic floor that will withstand heavy use. The patented LockSafe Positive Interlocking System delivers secure connections. Perfect for lean manufacturing, tiles can be unlocked and re-positioned as work centers change to fit customer needs. The optional 6″ (15 cm) side safety ramps and corners have countersunk holes for semi-permanent installation. 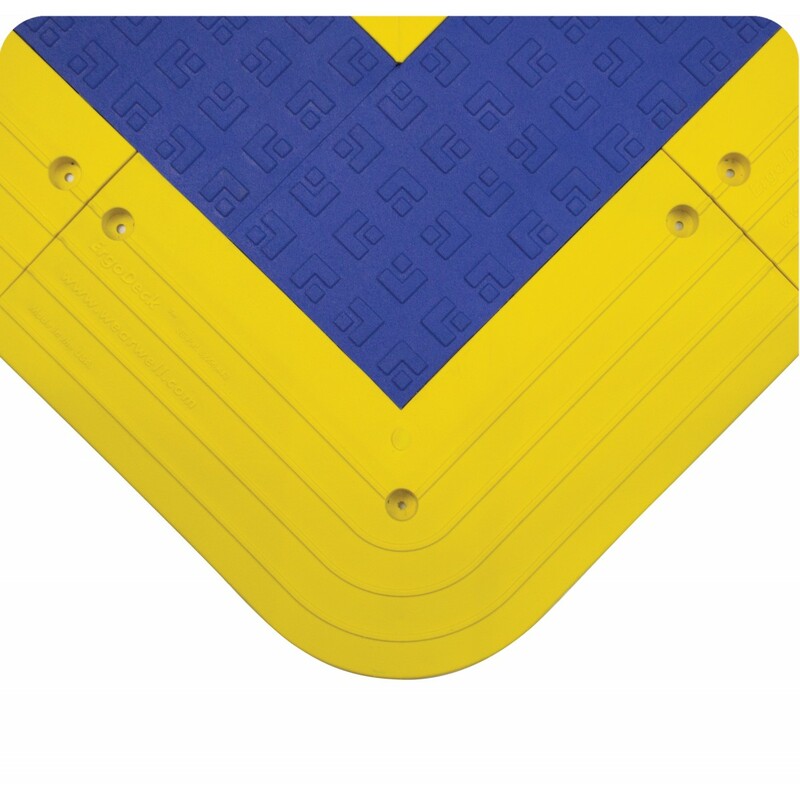 ErgoDeck General Purpose with GRITSHIELD increases traction by 40% and addresses worker health and safety in areas with primarily foot traffic and light cart traffic. 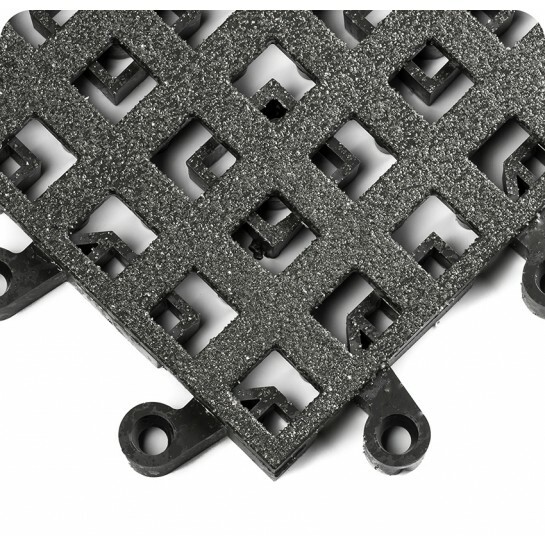 A dependable, ergonomic floor that will withstand heavy use. The patented LockSafe Positive Interlocking System delivers secure connections. Perfect for lean manufacturing, tiles can be unlocked and repositioned as work centers change to fit customer needs. 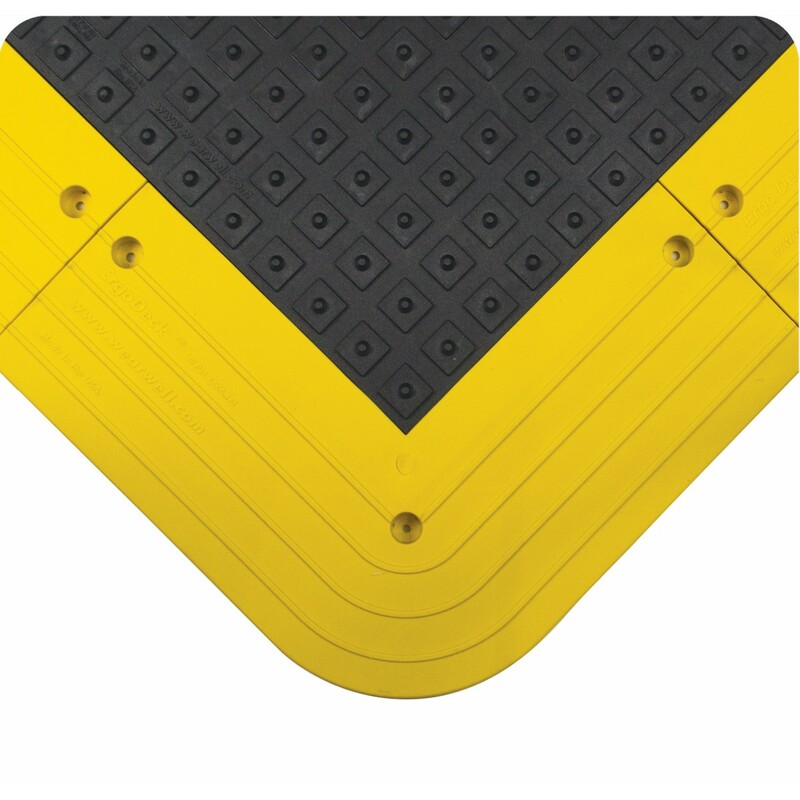 The optional 6″ (15 cm) wide safety ramps and corners have countersunk holes for semi-permanent installation. ErgoDeck Heavy Duty is the best choice in areas with heavy cart and foot traffic. Why? 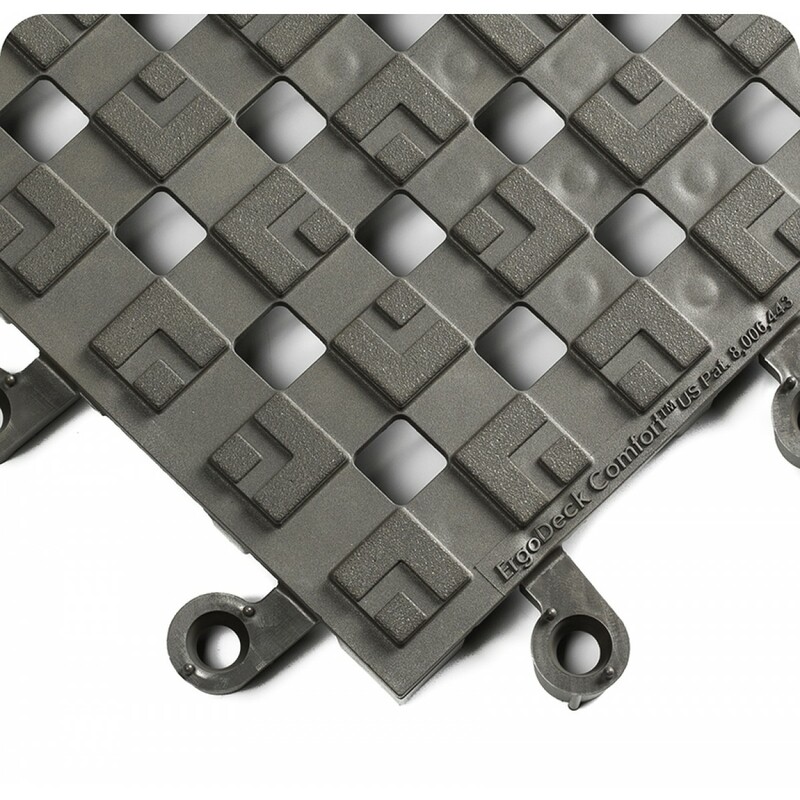 The firmer compound lets carts roll over the tiles with ease. Meanwhile, the underside box-spring design provides structural support and impact absorption for health and comfort, even in multi-shift operations. 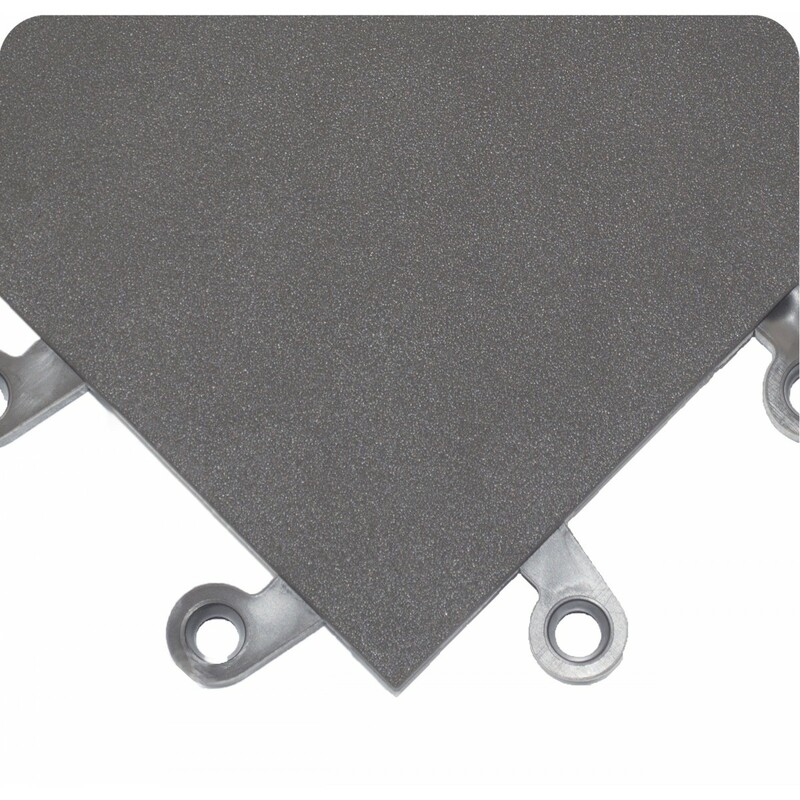 ErgoDeck Heavy-Duty with GRITSHIELD delivers 40% more traction and withstands heavy use and cart traffic. A dependable, ergonomic floor that will withstand heavy use. The patented LockSafe Positive Interlocking System delivers secure connections. Perfect for lean manufacturing, tiles can be unlocked and repositioned as work centers change to fit customer needs. 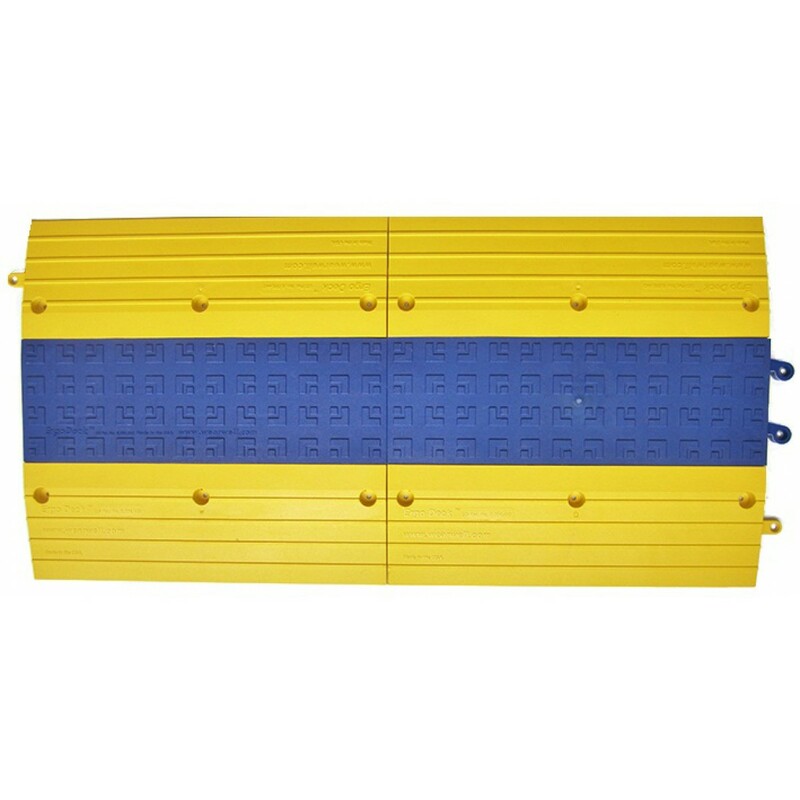 The optional 6″ (15 cm) side safety ramps and corners have countersunk holes for semi-permanent installation. ErgoDeck Heavy Duty is the best choice in areas with heavy cart and foot traffic. Why? 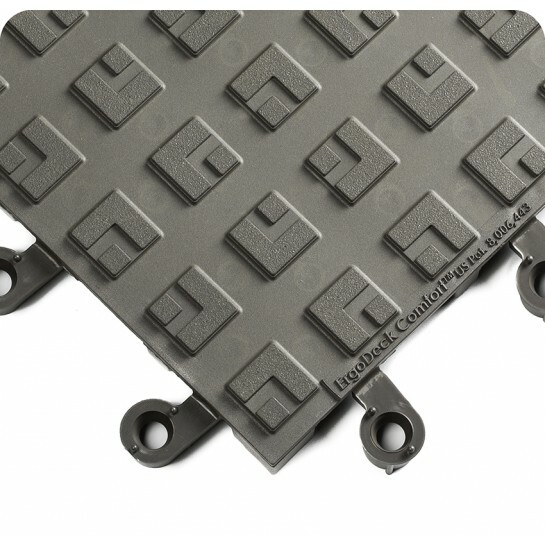 The firmer compound lets carts roll over the tiles with ease. Meanwhile, the underside box-spring design provides structural support and impact absorption for health and productivity, even in multi-shift operations. 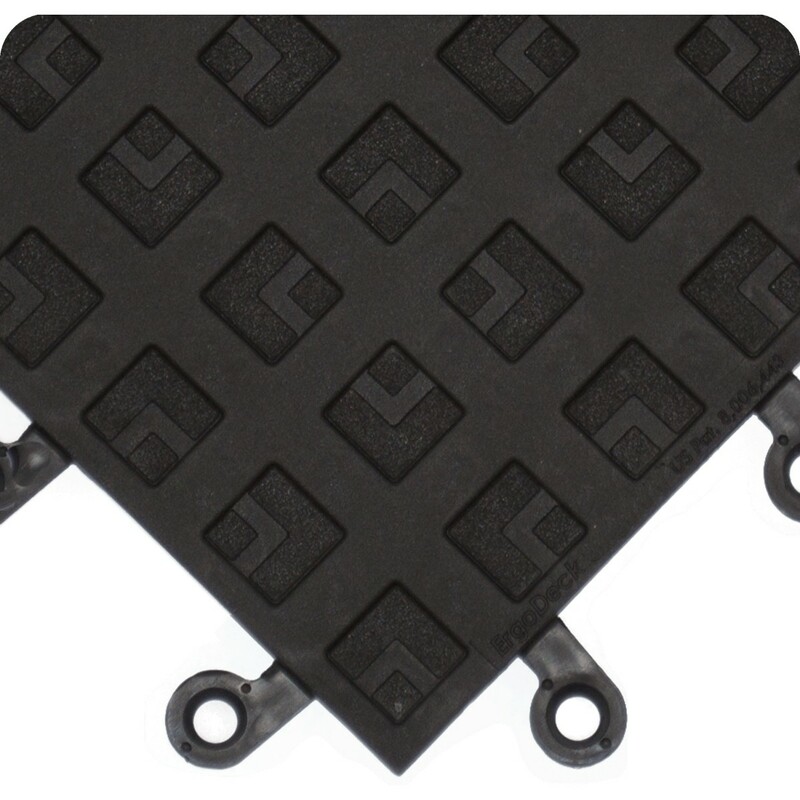 A dependable, ergonomic floor that will withstand heavy use. The patented LockSafe Positive Interlocking System delivers secure connections. Perfect for lean manufacturing, tiles can be unlocked and repositioned as work centers change to fit customer needs. 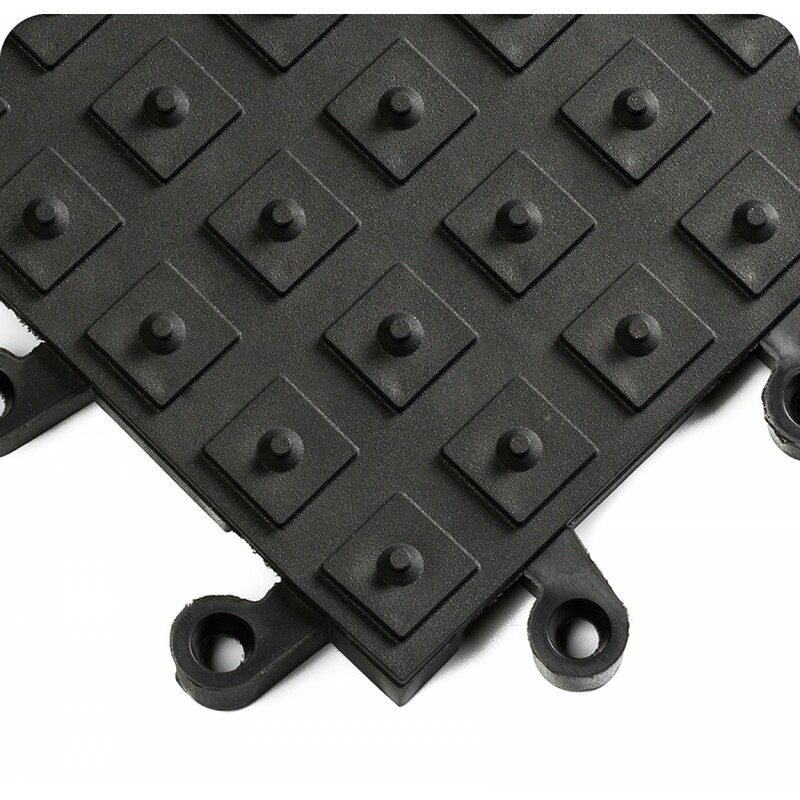 The optional 6″ (15 cm) side safety ramps and corners have countersunk holes for semi-permanent installation. ErgoDeck Heavy Duty is the best choice in areas with heavy cart and foot traffic. Why? The firmer compound lets carts roll over the tiles with ease. Meanwhile, the underside box-spring design provides structural support and impact absorption for health and comfort, even in multi-shift operations. Strategically placed cleats are rated for workers up to 600 lbs (272 kg)! Exposed cables and hoses in the industrial work place pose trip hazards. A common “fix” is using tape or other temporary alternatives. ErgoDeck® Cable Bridge kits contains all the components necessary for long lasting trip prevention. This system allows easy access and the electric blue color calls attention to the location of cables, hoses and wires. Exposed cables and hoses in the industrial work place pose trip hazards. A common “fix” is using tape or other temporary alternatives. ErgoDeck® Cable Bridge kits contains all the components necessary for long lasting trip prevention. This system allows easy access and the electric blue color calls attention to the location of cables, hoses and wires. Combine with ErgoDeck Cable Bridge straight kits.